After driving via Steve Irwin Way follow the signs to Maleny heading up the range from Landsborough. When you arrive in Maleny be careful to check your speed as the speed limit through the town is 40 KPH. 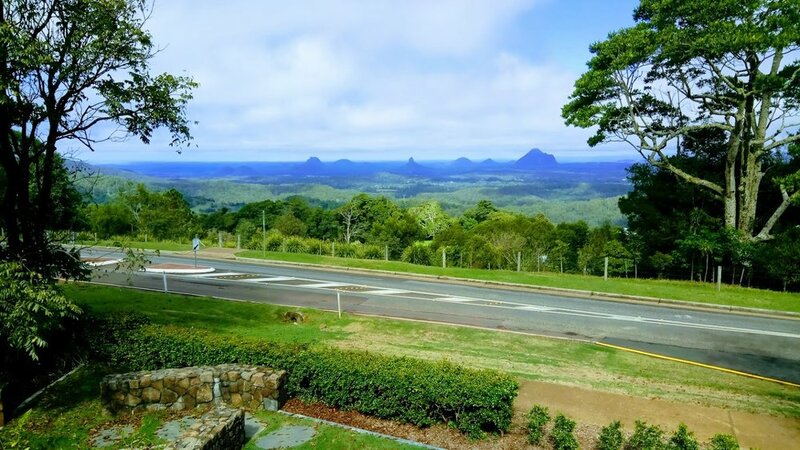 After stopping for a coffee or a wander around, head along Maleny's main street and follow the signs to Conondale and Kenilworth. There are a few roads turning off but keep on going past the shop at Witta and soon after look for the Curramore Road sign directing you to turn right. · Sunshine Coast Airport near Maroochydore is the nearest at 57 kms. · Brisbane and Brisbane International Airport are 100 kms south on the Bruce Highway.